All camp payments are due in full by June 21, 2019. To set up an extended payment plan or for more information, please contact (614) 939-0765. Registration is not complete until camp fees are paid in full or a payment plan is implemented. It is very important to have your registration completed in order that you will receive the camp updates and information. 5% discount for 3 or more campers from one family. Transportation Fee - Refer to the transportation section for more information about transportation. A $100 deposit per child is required with camp registration. The deposit is non-refundable and will be deducted from the camp tuition. Tuition covers all activities and trips. There is an occasional fee for optional activities such as late nights as well as on the one extended full day field trip (see "FIELD TRIPS"), which are billed upon individual participation. Full tuition payment is required by Monday, June 20th, 2019 unless otherwise arranged with the Director. Our reimbursement policy allows for full reimbursement until the start of camp, except for the $100 deposit. Once camp begins, we cannot offer any reimbursement. Discount does not include transportation and camp t-shirt fees. Paying by check? 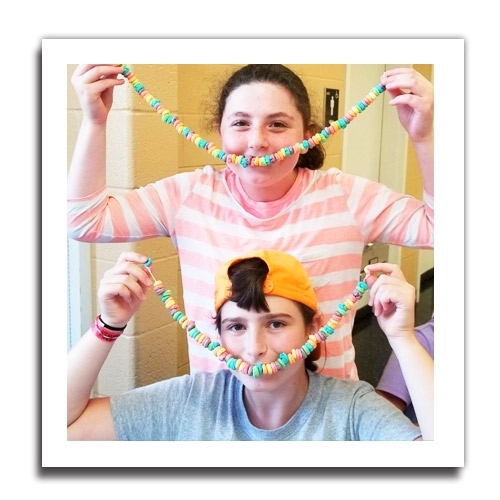 Please mail to Camp Gan Israel, 6220 East Dublin Granville Rd., New Albany, OH 43054. Please fill out and submit the required medical form with your payment. 1) Invoice for camp tuition or a receipt acknowledging payment in full. 2) Calendar listing highlights of camp’s activities - please note that there are minor changes to our calendar, details found on the website calendar. 3) Staff meet and greet information (to take place the first week of camp). 4) Bus information for all campers. All campers registered after Monday, June 3rd will get the information packets mid-June.